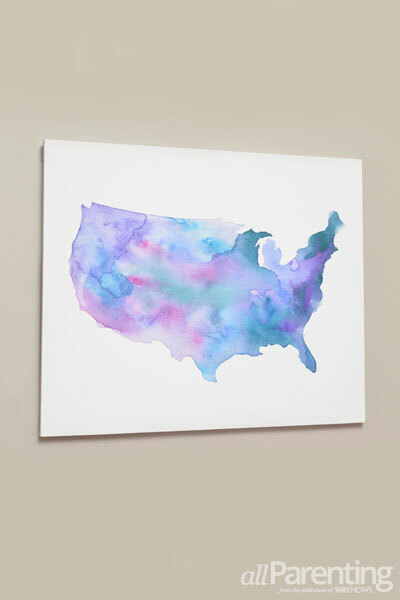 Turn a canvas and a little watercolor paint into a beautiful piece of art for your home! Not only is it pretty to look at, but it's easier to make than you think! 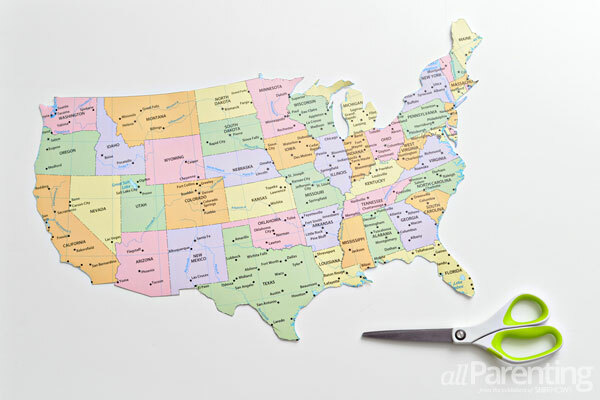 Start by grabbing your scissors and cutting out the map. 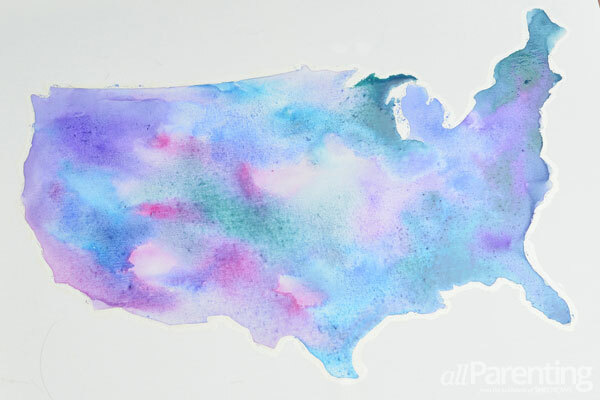 Lay the cut-out map on the center of the canvas. 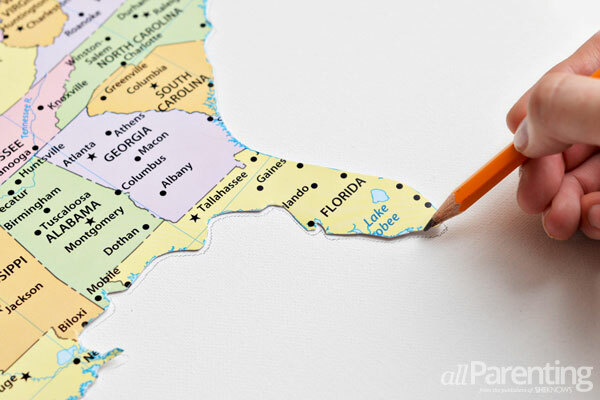 Trace around the edges of the map with a well-sharpened pencil. Dip a paint brush into the rubber cement. Paint rubber cement all along the border of the map, just outside the pencil outline. 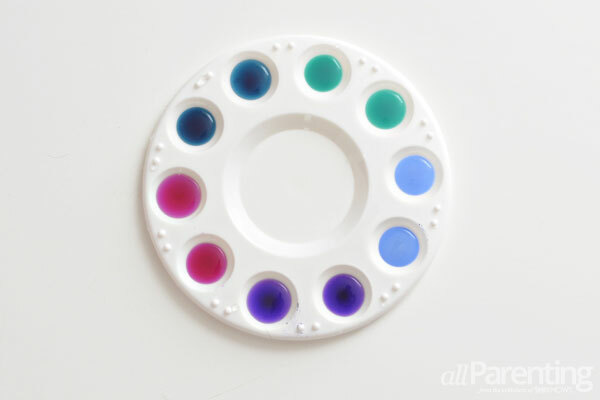 Mix together your watercolor paints on the paint tray. Try to stick with colors within the same color family so that the colors will blend nicely with each other. 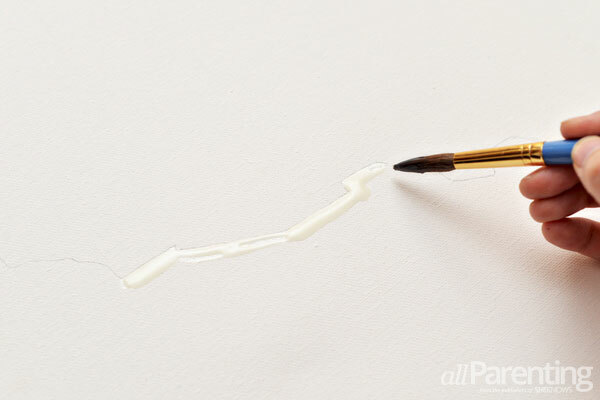 Dip a clean paint brush in water, and brush water over the canvas until the entire area inside the rubber cement has been moistened. 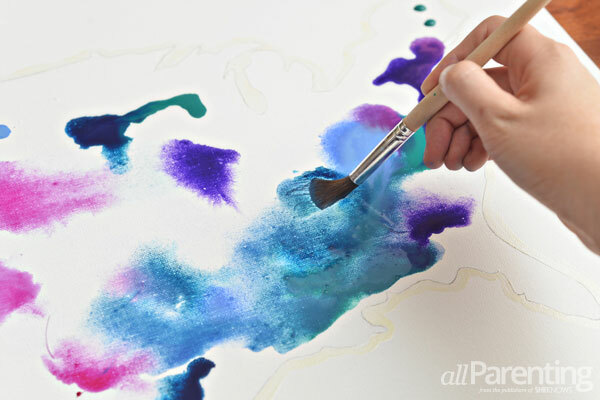 Dip your paint brush in the watercolors, soaking up as much paint as possible into the brush. 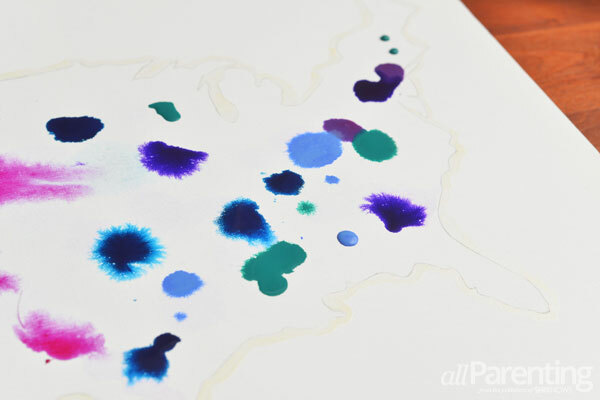 Drop large droplets of watercolor all over the map (staying inside the rubber cement outline). 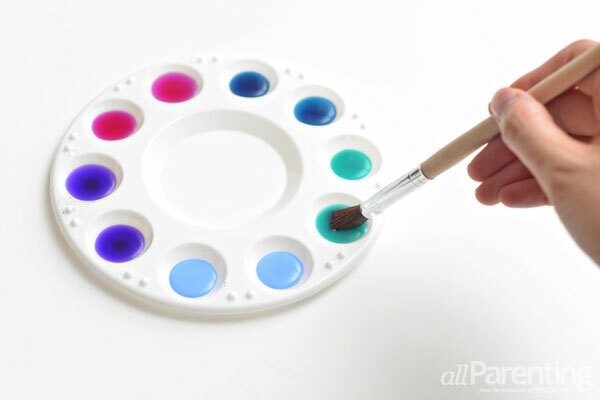 Dip a clean paint brush in water and start blending the colors together with the wet paint brush. Periodically swish the paint brush in water to clean it off before blending more areas of the map. 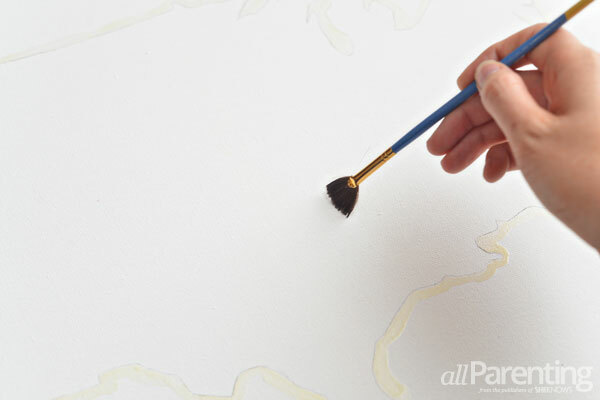 After you have blended the paint together, lay the canvas out on a flat surface and allow it to dry. 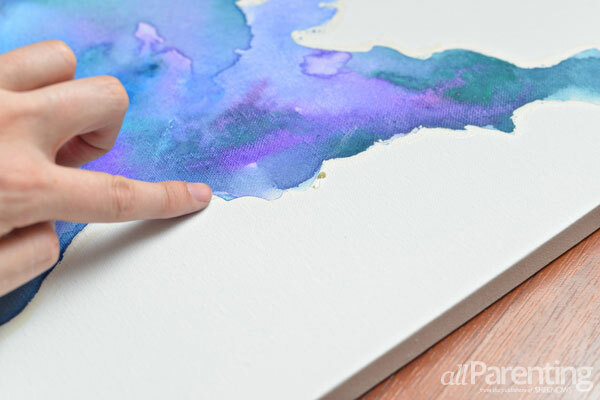 Once the paint is completely dry, rub your finger over the rubber cement to remove it from the canvas. You should have a nice, crisp edge around the map. 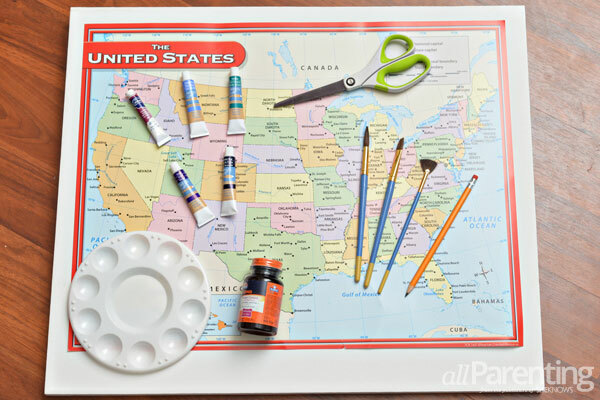 After all of the rubber cement has been removed, your new map is ready to hang on the wall!